One of the items on my retirement “To-Do” list is to become a better photographer. I purchased a nice DSLR that I hope will help me take my photos to a level beyond the images I get from my point-and-shoot camera or my cell phone. Despite—or, maybe because of—all the bells and whistles available to me on my new camera, I still find myself reaching for my cell phone when I want to take a picture. It is so easy to grab it and shoot. I don’t need to think about the correct aperture, shutter speed, and ISO settings. The results, while not great, are usually at least acceptable. When I pick up my DSLR camera, I feel overwhelmed with all of the possible setting combinations. If I take a photo and I’m unhappy with the result, I have no idea what went wrong. If it comes out well, I am equally perplexed as to how to recreate it. Because of some upcoming trips, I feel that I can no longer ignore my “grown up” camera. I really need to learn about its features and capabilities, and what all the mysterious dials and buttons do. I must finally wrap my head around the concept that a larger f-stop number indicates a smaller aperture opening. That a bigger aperture shortens the depth of field, while a smaller aperture will bring the background and foreground equally in focus. That the shutter speed and aperture settings work together to stop or blur motion, or allow photos to be taken in very low light or in extremely bright settings. Yikes! Where do I go to educate myself? Blogs, of course. Just as I have favorite blogs with cooking and entertaining information, travel tips, book reviews, opinions on politics and world events, and ones that make me laugh, make me think, or just make me feel as if I’m reading a letter from a friend, I am now reading blogs to help me learn more about my camera and how to take better pictures. I continue to be amazed at the level of information available in the blogosphere. I am in awe of the generous souls who are passionate about what they do and have worked hard to become proficient, who now take the time to share their wisdom and talent with an unseen universe of strangers. Even if they have been able to monetize their blog, or hope to do so in the future, the information is still free and available to anyone who searches for it. Granted, the content on some blogs is questionable or just plain wrong, but I have found plenty of blogs that are well-written, beautifully designed, and full of information and inspiration. I don’t know what it is that makes someone want to share so much of their knowledge with others, but I’m very grateful that they do. Because they blog, I have become a better cook and entertainer, I have read books that otherwise I might have missed, I have learned about different parts of the world, and I have had my mind opened to various points of view. I have also “met” quite a few interesting people that I wouldn’t have if not for their blogs. I know that whether or not I become a better photographer is up to me but I am thankful to those who have helped me gain the tools I need to improve. I consider each post a gift and I am grateful that they placed it on their blog for me to open. This community truly is a gift in so many ways. I, too, have been contemplating a new camera for same reasons as you. And I would be writing the same thing about confusion; knowing I need to learn to use it; being grateful for blogging resources. I haven’t taken the plunge … yet… Not until I’m positive I’ll commit the time. Oh, “Shutter-Buddy”!!! I love that. So much friendlier and more approachable. Hubs and I are off to Hawaii in a few weeks. I expect that my photographic attempts will find their way to these pages soon after. All new technology makes me feel like that. Even my car is smarter than me. Like you, I have been saved many times by bloggers willing to share ideas. Bloggers and Mr. Google are my answer to everything. I took some photography classes in college – WAY before digital – and I was confused then about all the settings. When point-and-shoot and then digital cameras were introduced, I thought my confusion was over. Now, silly me, I have waded into those murky waters again. I know that I will eventually “get it.” Thank goodness I’m not burning through a lot of film before I do. One thing is for sure, I don’t miss film. I could spend hours reading blogs, looking at videos, and visiting photography-focused websites. Hopefully it’s all sinking in and I won’t go completely blank when faced with the photographic opportunity of a lifetime! Nothing replaces practice, but these sources give me the supporting knowledge I need. I’ve learned a lot from your blog too, so you are on my gratitude list! 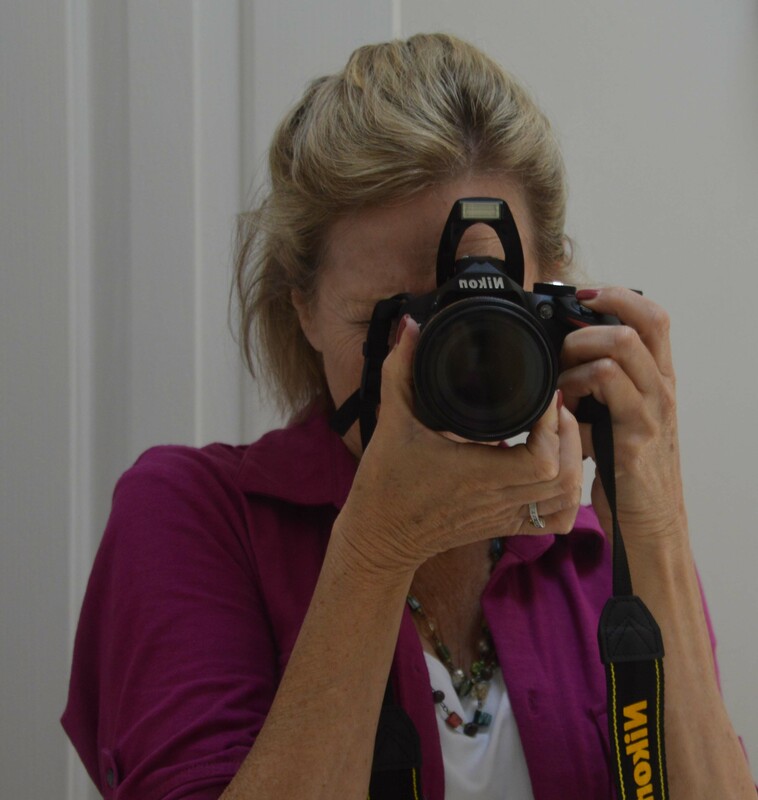 I too took up photography as a hobby when I retired…it has been such a help for my blog. I always put it in the front seat of the car when we travel so I can play with it when the scenery is not as interesting. I have learned a lot. Thank you for stopping by and commenting on Smelling Musty. Your words were music to my ears. Getting in the habit of carrying my good camera with me is key, even if it’s just around town (you never know when a photo-op will appear). Since I always have my phone with me, it has become my go-to camera. I know that, as I become more comfortable with all of the settings, I will grab for it first. Ah, the photography bug. I’ve got a canon 40d with a bunch of lenses. My photography goes in fits and starts. A photographer friend of mine asked me to be the second shooter for a wedding shoot she had a few years back. All was going well until I tripped at the entrance of the reception hall. I and camera went flying. I broke my right patella and left foot. Amazingly, the camera suffered no damage at all! Oh my! Did the photographer check on your welfare or the camera’s first? I don’t think I could ever shoot a wedding. Too much pressure to get it right. Fortunately, I’m in no danger of anyone asking me to. It was the first and last time she asked me. I think it traumatized her too much! I was referred to a great (in my opinion) hands-on-in-the-field photography class. Google IFLC San Diego Photography Courses. It will give you links to their Facebook page which will give you additional information regarding classes and schedules, as well as general information on the instructors. It’s rather pricey but I really learned a lot. The beginner course In Focus One: Mastering the Mechanics was a very informative starting point. I got a little hooked and took several more courses on flash, macro, etc. Here’s a link to this class…hope it works! I’ll take a look at this when I get back from vacation. Thanks for the tip! Hi, i just read your article and you described the exact same feeling I have toward improving my camera skills. As you say, if i find a picture not that great, I don’t know what to do to make it better, and when I find a picture just right, I feel usually as it is an accident and won’t feel confident enough to keep trying. I wish you to find the right path and improve your skills as you wish. Cheers !!! I am fairly confident in my image composition, but all the camera settings can be overwhelming. Probably like most skills I’ve learned through the years, patience and practice will be the key. Good luck to you too!